The Gyft digital gift card platform is running a special promotion that will allow you to buy $15 in retail gift cards from participating merchants for only $10 with a free $5 Gyft Card sign-up bonus. It’s free to sign up for Gyft, and this promotion only requires a few minutes to take advantage of this offer and get your $15 gift card for only $10. You could use this promotion to get a $15 gift card for only $10 from Amazon, Best Buy, The Home Depot, Target, Whole Foods Market, Starbucks, eBay, iTunes, and many other retailers. 1. Create a free Gyft account. 2. 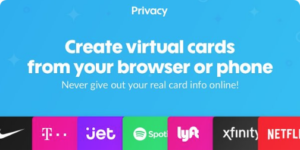 Validate your email address to reveal the $5 Gyft Card code. 3. Choose the gift card you would like to purchase (must be $15 or more). 4. Add the Gyft Card code to your order and click the validate button. 5. Complete your order by paying with credit card, PayPal, or Buy with Google. You must reside in the U.S. to qualify for the $5 Gyft Card. You cannot regift or use the card on a different Gyft account. This is a promotional card and it expires 90 days from the issue date. The card can only be used once. 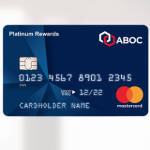 Each user and each household will only receive 1 $5 card. Is it still working? i did not get reward code. Awesome offer! Have done it twice with no problems. Would not recommend using PayPal because if something goes wrong with the transaction and the window must be exited, it says the coupon has been used and cannot be used again. I was told you had to have a smart phone to get this promotion. I’m old school so it won’t work for me. You only need a smartphone to redeem the $5 Toys R Us Promo Card in a Toys R Us store using the Google Wallet App. To get the $40 worth of Amazon Gift Cards for only $30, you can do it all on your personal computer, just like I did personally.